As difficult as this issue to contemplate I started to realize the fact that despotic leaders are generally results of broader and yet fundamental societal flaws. For me this was like the aha! moment. So when revolution is conceived in a society with a high degree of authoritarianism, the end result is usually more authoritarianism. I think it comes down to individual elite who appeared liberal and revolutionary from authoritarian society are either concealed authoritarian themselves or the society is not yet ready to allow them to exercise their liberty. This is like a classic causality dilemma, which one came first a chicken or the egg. But I think one should change first and it should be the society. It is with this eureka effect that I tried to revisit the revolutions in the Arab world. Tunisia, Egypt, Libya, and Syria… and I tend to think that the revolutions in these countries have done more harm than good. They caused a great deal of human suffering. Removing a despot does not necessarily guarantee a change. In similar manner the 1974 Ethiopian Revolution which removed HaileSelassie’s rule and replaced with the Dergue, a Marxist military junta is just as bad (If not worse) than the revolutions of the Arab world. It is even worse if we consider the human suffering that was caused by the infighting and power struggle of the political parties of the time. I have watched when the storied Ukraine for its Orange revolution of 2004 back to revolution all over again in 2014. I even tweeted about it ‘to revolution then calmness and back’. The February 2014 Ukrainian revolution culminated (I am not sure if I can say it is culminated) in turning over its own State Crimea to pro-Russian forces even though it appeared the Russian involvement in Ukrainian affairs cited as one of the cause of the revolution. I also wrote a commentary on my personal blog asking “Are revolutions meant to be betrayed? ››My point in this particular blog post was showing reasons why elite citizens who usually initiate revolutions would end up in brawl and infighting after they started revolutions. I used the old Amharic saying to illustrate my point ‘Thieves usually do not fight when they steal but they brawl when they divide what they robbed”. I intentionally used the word ‘thieves’ to illustrate the context of Ethiopian political reality. I am referring to Ethiopian astroturf political organizations (formal or informal) that are organized in the name of interest group to bring social change. Beyond their being astroturf in their nature they fight each other. We have numerous such groups and their sole propose is to get hold of political power and harvest the benefits from it not bringing genuine revolution. An acquaintance of mine who knows my stance of instantaneous social change came to visit me in prison after I was unjustly accused of inciting revolution. He looked at me and said ” Aha, what did I told you, there will never be a change without revolution’. But remarkably even in the injustices and sufferings me and my zone9 blogging collective colleagues have been through I still see the need for an authentic social change. Had the society have had the consciousness; they would have seen the impunity of the Ethiopian government (police) enjoy and the injustice we are suffering from. Apparently the Ethiopian government does not have the slightest concern for legitimate questions of Ethiopians but rather they are deeply bothered by the ‘noise of foreign powers’. Suffering the consequence of using the right to freedom of expression has become a social reality because the society sits silently and watches all the injustice. Society should start to speak up against injustice but to do so we should embark on educative and liberating process through grassroots activism and peaceful disobedience which are yet not happened in Ethiopia. Once a society has become conscious of the benefits of liberating social change and developed a test for liberty there is no way back. I believe consciousness comes first then liberty follows. We have failed spectacularly because as a society we have the cart before the horse in most of our projects. That is how explained for my acquaintance who visited me in prison as well. However, as Kiflu Tadesse put it on the first of two volumed books “That Generation” which dealt with the 1974 Ethiopian Revolution Haile Fida one of the iconic figures of the storied Ethiopian Socialist Movement never predicted Ethiopians would revolted just one year ahead of the 1974 Ethiopian Revolution. According to Kiflu, in 1973 Haile said for Ethiopians to start a revolution it would take them a minimum of twenty five years. Unless I blunder like Haile I don’t think there will be a revolution in Ethiopia in the foreseeable future. Finally like the Ethiopian satirist Abebe Tola usually says it if I screw-up on this, screw me over. Look at their adage; how lucky they are. They have a luxury of choosing how to communicate. They can write letters but if they wish they can arrange a meet up as well. For me both ways of communications are lavish choices at this particular time. I am not sure if this letter can get to you or even I might get restricted to have a sight of you. I will return to the details of why this could happen but prior to that let me make my confessions for you and for people who might read this letter. Well, I don’t deserve to be in such kind of situation. I have to refer to the law whenever I speak about my rights because the law is a ‘shield and provides a protection for me’. What does the law say about prisoners’ rights of communication using correspondence? According to Regulation Number 138/2008 which was passed by Council of Ministers in 2008; prisoners whether they are sentenced or suspects have a right to correspondence however the with intention of protecting the safety of the penitentiary the letters will be regulated. Consequently; you and I are allowed to correspond, hallelujah!. I am sure you will not make mockery of my sincere trust in the rule of law. You will not label my trust in the rule of law as a fool man’s mantra. Comrade Lenin had written the draft and explanation of a program for the social-democratic party during his prison time in Petersburg. In doing that he created a new chapter of history by writing using an Invisible Ink. There you go; yesterday’s revolutionary Leninists but today’s incarcerators have respected my rights of correspondence and I am dashing on the white paper like our renaissance train passes through its railway. The reason to demote Wolde Giyorgis from his ministerial position was because he was accused of deposing King Haile Selassie. I recited the story of Wolde Giyorgis here because I have a comparable story with him. What a coincidence! I will narrate the unfortunate date of April 25 as Zewdie Reta did for Wolde Giyorgis. It was a sunny Friday and the day begun in a little strange manner. At Ambo University I was rushing to have the last class of the semester but students were having a peaceful demonstration in the campus. Their reason for a peaceful protest was that they claim the master plan which was prepared to expand Addis Ababa to the adjacent towns of Oromia Regional State is unconstitutional. The students have placards showing their protest. Luckily for the day the students’ protest was concluded in a peaceful manner. And I have re-scheduled to carry out a makeup class for the missed class for the next day. But later that day as the saying goes ‘Man proposes; God giggles’ in a similar manner with Wolde Giyorgis I was told by about 9 security agents that I am under arrest for conspiring to overthrow the Ethiopian government by inciting violence. But I am not that surprised but a little bit irked that they could simply summoned me at Maeklawi saying Mr. Zelalem you are required to come to Maeklawi tomorrow morning at 9:00am. I would have gone but I would have probably asked them to let me finish the class I have been teaching for a semester. I would have saved them a lot of energy . But I am grateful for my government that they have shown me a great respect by sending a lot of security agents with two vehicles. Darling, I hope you are reading this letter. The phrase you are under arrest has always been making me smile. Right after my detention I heard this phrase a couple of times from a middle aged looking person, who appeared to be a coordinator of the security agents that came all the way from Addis Ababa to arrest me. He called to someone (I wish I know to whom he ringed) higher in the command and told him that they have just arrested the suspect who conspired to incite public strife. I smiled, but that is how I was arrested from my work place. From 25th of April 2014 until 17th of July 2014 for 84 days life was a static and banal. Before I bore you with a lot of details let me write you five essential events. Ahead of that I want to give you a brief description of my 84 days in prison. I spent the first 75 days in a 5m by 4 m room at Ethiopia’s crime investigation center called Maeklawi. I was made to stay in an extremely controlled room called Siberia. There were just five mattresses in the room. The room does not have any opening for sunlight. There was continuous electric bulb light but when electricity supply interrupted they replace it with diesel generator. At times when the generator runs out of the diesel we are forced to stay in a complete darkness. No one is allowed to lighten the room using a candle or a torch. They sometimes let us out of the small room for about 10 minutes in the morning. Moreover, they also let us see the outside world for about 15 minutes on daily basis but generally we are locked in the little room for more than 23 hours of the day. No one is allowed neither to talk nor to chant audibly. If one is found guilty of speaking loudly they will face the harsh consequence. Apologies, if I bored you with a lot of details. Let me cut the details of my privation and get back to the five events that I was telling you a while ago. I believe these events will better explain the events that happened on me. After I was put under arrest in the afternoon I was being driven with a compact family car from Ambo to Addis Ababa. It was about 8:00 pm in the evening. One of a young looking security agent called me by my name. “Zelalem; you teach law at University? Is that right? I responded to him yes. Then he said “You should have helped your country to generate lawyers and judges. But it is shame that you found yourself engaged in such kind of destructive activities with the evil intention of preventing our development. In any case it is good you are put under arrest before you make a lot of damages to the students. Let me ask you how many foreigners cajoled you for this? You know we don’t let anyone to mess around with our development.” As I was reflecting on the number of students I have ‘spoiled’ during my four teaching years at the University I arrived at Maeklawi at about 9:50 pm. The police officer: What are your objectives as Zone9? The police officer: That is a cover. Tell me your real intentions. Me: Well, we don’t have any intention other than this. The police officer always wanted me to tell him something his bosses needed us to confess. He always wanted me to tell him that our intention by saying “Yes our intention is to remove this government and liberate Ethiopians from the yoke of oppression using violence” He wanted me to say that. I always told him our real intention and he finally understood that he will not get what he wanted from me. But he always encouraged me to think over it whenever he signed off his daily interrogation. The Police Officer: Whom have you met from world leaders? Me: I have never met anyone. Me: Seriously, am I selected to make speech in front of President Obama? I told him mockingly that I might got selected after my incarceration. Did you just say who the hell is America to meddle in Africa’s internal affair. But I don’t see a problem if America has helped Africa to empower its young people. In fact America has always been supportive during our famines and drought. I don’t think it is proper to say what you just said. The Police Officer: What are you talking about? We are an era of growth and development. You should not talk about famine and drought. Just leave it. You know there is a saying which says a coward sweats even inside the cold water. Our government is such a coward being that they don’t trust their shoulders while they run on the track alone. When I reflect back on my interrogation I have regrets. When I was asked to tell whom I met from leaders I should have told them that I met the Sri Lankan President and traveled to Peru and visited Machu Pichu. I am sure they might have included this in our charge sheet. They might have written the charge sheet like this “With the financial and material support he got from Sri Lankan government he traveled all the way to Peru and took part in training at Machu Pichu on how to dismantle the Ethiopian constitutional order. They might attach the pictures of Ernesto “Che” Guevara’s pictures they have found in my laptop as an evidence to support their allegation. Damn it, I should have done that. Darling, I know I have tired you but I am almost there; finishing. My love, bear with me. I also want you to correct the Paulian masculine reference to love to feminine reference. Please let’s refer to love as she and say love is patient. During my interrogation one question which bore me to death was my ‘neoliberal’ claims that development and democracy can go hand in hand. The police officers took turns to’ explain’ and ‘persuade’ me the validity of EPRDF’s policy. “Government has provided everything for you. What did you lack? Why did you become white man’s worshiper? You and your friends are so envious. Why your eyes turned into red with anger and jealousy when this country is started to have a glimmer of hope? Please tell us? What makes you such an evil creature? You and your friends want to sell this country which our fathers preserved for us with their blood and prayers. You and your generation betrayed your country and start to negotiate with foreigners who desired this beautiful country .You want to sell this country to foreigners” I was accused of these crimes. But to make you smile I will quote something humorous from an old book titled “You & Me” written by Tadesse. “Ethiopia is such a beautiful country….it is a country that is full of beauty, charm and adventure. …Ethiopia is like a rose flower….” Incredible! The perception of beauty is subjective. As the saying goes beauty is in the eyes of the beholder but these police officers who are intoxicated with such vulgar nationalism have accused me and my generation of selling this country for foreign people. Is it not astonishing? Saying democracy and development can and should go hand in hand made us criminals. Believing in democracy and development has become a treasonous act. The distinguished Ethiopian scholar Gebrehiwot Baykedagn wrote “If we build rail road and construct roads without enlightening a society, it even further impoverishes the society because the underlying conditions of the society does not change”. He further said infrastructural progress without societal enlightenment is worthless. Had Gebrehiwot been a member of my generation I am sure he would have been accused of denying Ethiopia’s development and agitate the public to dismantle the rail road and other treasonous act. In 2012 it was reported that the Federal Police set up a ‘Cyber Crime Laboratory’ and I remember I was saying cyber criminals you are all doomed but they said that our data is immense and the Federal Police has only just one personal computer which they find it difficult to process our data. It is not a joke that I was even asked to install anti-virus on their computer. So I ask when do they use their Cyber Crime Laboratory’ if they don’t use it to investigate crimes as serious as terrorism. In a day which I can not exactly remember the month a middle aged person entered into our small room and started asking a series of questions for all of us. He started with one of my friend from Haromaya University. We all have waited until the man leaves the room to burst into laughter. Ethiopia is a country where everything has become a comic story. In all those days I was looking for a person who can tell me the real reason of my incarceration. I am neither shocked nor dejected because of my arrest. In fact I always look for happiness wherever I go. Luckily happiness never left me as well. For a long period of time I have had Aristotelian philosophy of life which says the purpose of life is to know but now I have mingled this life philosophy of happiness. So the purpose of life is both to know and to be happy. Hence; I am enjoying my life while I strive to know. “So what do you think is your offense?” my interrogator signed off with this intriguing question after he made me recount my works as an activist and progressive blogger. Soon after, when my captors permitted me to be reunited with my blogger friends, who are now described as ‘associates’ in the lexicon of inmates we have realized that we were all asked this same question “So what do you think is your offense?” This question is intriguing because it has a comprehensive and totalizing power to describe the entire interrogation process. It is intriguing because it sheds light into our innocence or our into our refusal to acknowledge what our captors suspected us of violating. Yes, our captors probed us severely but they all ended with the same question “So what do you think is your offense?” The whole point of the investigation was not to proof or to disproof our offenses but it was to make us plead guilty. With that, our brief two years of operation as Zone9ers which was a perplexity for a lot of people has got answers. Observers perplexed why Ethiopian government tolerated Zone9ers for so long. Given the sensitive nature of Ethiopia’s government to freedom of expression the annoying perplexity of these people is understandable. As the curiosity of these perplexed people come to end; we got apprehended, investigated and blame is being laid up on us for committing acts of ‘crime’ by being a ‘member’ and ‘accepting missions’ of Ginbot7/May 15 and OLF as well. Next in a row is ‘due processes’ in the prosecution, but I believe there are issues that necessitate this piece. So I decided to write this. How did our incarceration & investigation go? Are we really a member of Ginbot7/May15? If not why have they arrested us? Will they release us soon? No matter what, the bounds exist among people if they write about Ethiopia’s s political reality they will have to survive with a peril of incarceration as long as they live in the country. I believe that is why Prof. Mesfin poignantly described Ethiopians as those who have gone through imprisonment, those who are now in prison and those who await imprisonment. In his book, Prof. Mesfin cited these three layers of Ethiopian captives to his unidentified conversant, credit to him, but we believe everyone who has to survive with a dread to exercise their freedom of expression live in outer ring of the prison, the Nation Itself, that is why we call our blog Zone9. Merely we were two weeks into our nascent blogging when they made our collective blog inaccessible in Ethiopia in 2012. We gave it a trial until the end but we knew that the fate of our blocked blogs could be our own. We know that we could end up being arrested. In the days and weeks leading up to our incarceration in April 2014, government security agents have been threatening us about our imminent arrest but it is only human to get shaken when it happened. The arrest besieged six obtainable members of the blogging collective and our three journalist allies. Here; I would like to point out that the incarceration of our three journalist allies was a bit of shock at least for us; but later it became noticeable that we were only used as a pretext and their arrest is part of a grand arrangement. The highly coordinated manner of our seizures on its own speaks volumes about government’s pre-calculated grand arrangement. With the exception of one of the journalist (Asmamaw) we were all arrested on Friday the 25th of April on or about 11:00 pm; from our respective locations. Asmamaw was arrested the next morning. By the time we were seized and taken to the detention center the search ‘warrant’ that authorized the law enforcement personnel was well over its time limit at least according to Ethiopian law. In fact, the unlawful intrusion of our rights starts right here. Without delay, we become victims of various unlawful courses of actions. The very idea of setting a foot in the compound of the ill-famed Maeklawi detention center gives a cold shiver to anyone. 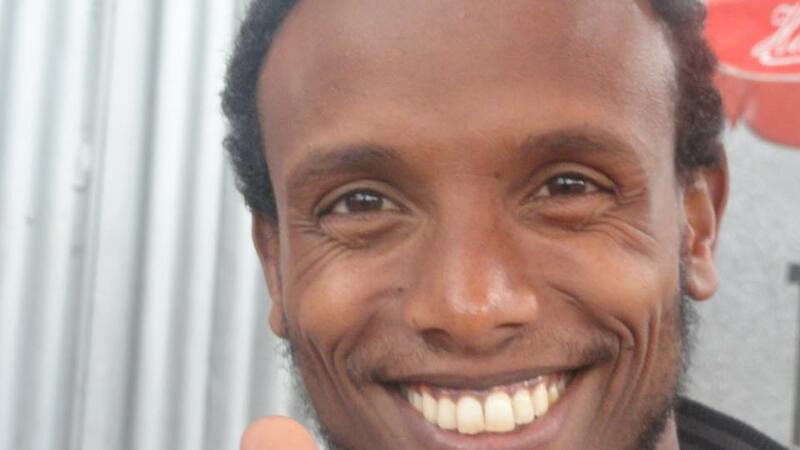 But my sheer optimistic trust that the brutal and inhuman treatment of people as Ethiopia’s distant memory saved me from trembling while I was escorted into the compound. So were my friends, I suppose. What is more; we had nothing to be scared of because; we are neither undercover agents nor members of armed forces; we are just writers. However, as soon as I arrived at Maeklawi detainees informed me that I am in one of the notorious section of the detention center called ‘Siberia’. In just less than a week I felt I was living right in the middle of the account of Human Rights Watch report of the 2013 titled- They Want a Confession. The standard Maeklawi interrogation methods are more of dominance and submission, rather than confidence and creativity. Instead of extracting information from ‘suspects’ the police officers usually fool around; they spend too much time in I know it all kind of game. If this does not succeed in extracting information, they force confessions by punching, beatings, extended physical exercise and flogging. I concluded that this is the standard interrogation routine in Maeklawi since I have endured it with five different police officers. Other detainees have informed me that they have gone through the same procedure. In fact I had an opportunity to converse with detainees who have passed through even wicked procedures that intrude detainees’ privacies. Some detainees got stripped off their clothes and asked to perform stand up-sit dawn. Particularly, I was able to meet with people who suffered from medieval type of torture in an anonymous detention center before they were brought to their pre-trial detention center at Maeklawi. These detainees suffer from diabolical barbarity such as forcible extraction of their nails from their fingers, flogging and hooding; among these are students from Haromaya University. What is nauseating is the extracted information from detainees in anonymous detention center is usually brought to their pre-trial detention center for the purpose of verification. Detainees never know where they were taken for this brutal investigation; because they are hooded. The anonymous detention centers are like black holes. Ethiopian prisoners’ anguish which appeared to be so distant in memory is not that far after all. Finally, we were made to plead guilty, we confessed under duress. We could not bear with the ceaseless brutal and psychologically degrading pressure. We could not carry on surviving the hellhole of Maeklawi. We end up recounting what our detectives would like better to listen. To the delight of our detectives we have added as many self-incriminating phrases as possible. But phrases such as ‘yes we wanted to incite violence’ never pleased them. Subsequently they have re-written our confessions so that it will fit their frame. Some of us tried to explain; others we had to endure beatings but at last we all succumbed to the pressure and signed the carefully scripted confession pages with the exception of Abel, he refused to sign the rewritten confession pages. He has survived the pain but even his confession pages are complete mendacities let alone ours. Now we are a living witnesses that torture is part of Maeklawi’s ceremony that reveals the ‘truth’ of a crime. I thought police interrogations were so complex involving high end skills, knowledge and psychological tactics to establish facts. Thanks to our time at Maeklawi I have realized that police interrogations in Maeklawi are not that complex. In fact they are simple. They are like machines that produce guilt in the detainees. In Maeklawi, the driving principle of police interrogations is ‘you are guilty unless proven otherwise’. Your pleas for innocence or explanation for that matter fell on deaf ears; detectives will cook a crime for you; I call this Maeklawi-sque interrogations. My experience, especially our own case; convinced me stronger than ever that Maeklawi should go through a complete reform. One can simply observe that there is a significant economy of power invested in Maeklawi. The investigation is not principled; detectives ingratiate the power wielders. I think they are recruited based on their willingness to carry out the desires of the power wielders, not to uphold the rule of law. I think the staffing of employees should be merit based. These kinds of law enforcement employees should be knowledgeable if they are not they might overlook insightful information when they deal with real criminals and this might jeopardized the safety & security of the country. The evident part of each of our confession pages which forced us plead guilty were our online campaigns, our plans, the articles we wrote, the trainings we partake, the training manuals, the skills we attempted to impart. I had to admit that we all expected that their plan was to indict us with agitating the public to strife. We thought the ceiling for our ‘crime’ is accusing us of violating article 257/8 criminal code of the Federal Democratic Republic of Ethiopia. But eureka, when they formally charge us we have realized that we are charged with Ethiopian terrorism law, particularly with violation of its Article 4 which can result in severe punishment of 15 years to life imprisonment. Honestly, speaking this makes my face beam with smile. The terrorism charge is smirking because the evidences brought to support the charge are merely our writings, the press releases we wrote during our online campaigns and different training manuals. Other than these documents, there are three ‘documents’ which purportedly proof our connections with Ginbot 7 and OLF. The first one is Ginbot7’s newsletter from September 2009. This newsletter was located in Natnael’s email. Here, it is important to note that Ethiopia’s anti-terror proclamation was not passed into law and Ginbot7 was not yet labeled as a terrorist organization when Natty received the newsletter. The second document was, the one located in the house of Soliyana’s mom during the search and seizures. The alleged document is the guiding document to draft members of Ginbot7 popular force. Apparently, Soli’s mom refused to acknowledge this document insisting it was inserted by the security agents themselves in their house rather than located. In any way this should not be a big deal especially considering Soli’s stance on armed struggle. We all know that Soli does not support regime change by means of armed struggle. Before my detention last time I check her Twitter bio has an adage “no for war”. The third document is the political program of OLF which was located in the personal computer of Mahlet. In fact, Mahlet has had many political programs of other Oromo political parties but they were not presented as evidence. I don’t want to engage in ping pong kind of argument that yields nonentity. Apparently, for our loved ones if not our leaders it is clear that possessing these documents does confirm neither allegiance nor working relationship with both Ginbot7 & OLF. Our activities and the charges we received are like an apple & orange. The preposterous of all allegations is the one which blames us of receiving $2400 money using Natnael as our contact person. This money was a remittance transferred from Article 19 to encourage Reyoot, an imprisoned journalist and of course support her family. During our interrogation we have explained this fact in great detail to the police officers. Adjacent to our claim attached was the receipt to proof the transfer was made by Article 19. But in the charge sheet they tried to get us perceived wrongly and they have attempted to show that we have received the money from the ‘terrorist’ organizations. I imagine they know our innocence; but I think either they maliciously want us suffer or they want to take their time until we prove our innocence. Some conundrums are simply explained in old adages like bad excuse is better than none but I think our story can be best explained in an Ethiopian folk story of a hyena and a donkey. The story goes like this. Once upon a time a donkey and a hyena were drinking from the same stream of water. The belligerent hyena whined to the donkey that she is making his water filthy despite he is drinking up in the stream; but the donkey told to the hyena to stop looking for a reason to prey on her. People say a bad excuse is better than none but not in our case! Our story is much more analogous to the story of the hyena and the donkey than to the old adage. 1. EPRDF is bullheaded. They are stubborn in annoying way. If they think the detainees have generated a lot of support and are critical of their governance. They don’t want to release their captives without dehumanizing them. EPRDF is foolishly childish. Note; I am not saying the global support we received is not helping us. Your support is our daily bread. It is warming us like sunshine. I am sure the day shall come on which we say thank you for your support. 2. They don’t want take a risk. Even though they have seen our innocence regarding their fear of inciting violence after the upcoming election; they did not want to take a risk. In weeks leading up to our arrest they have been accusing us of planning color revolution following the national election using their media. 3. They want us suffer. They want us spend our time jail because we are strong critics of their policies. 4. They do not have any sense of decency that prevent them to hand dawn judgment on innocent people.